“Health has become overcomplicated. I aim to simplify it” In this podcast, we hear stories from leading health experts and exciting personalities who offer easy health life-hacks, expert advice and debunk common health myths giving you the tools to revolutionise how you eat, sleep, move and relax. 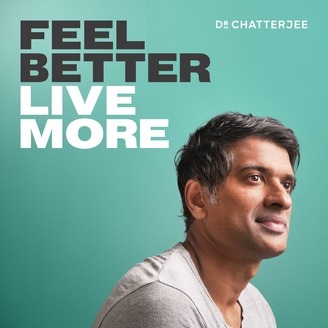 Hosted by Dr Chatterjee - one of the most influential GPs in the country with nearly 20 years experience, star of BBC 1’s Doctor In the House, and author of international best-selling book ‘The 4 Pillar Plan’ – Feel Better, Live More aims to inspire, empower and transform the way we feel. 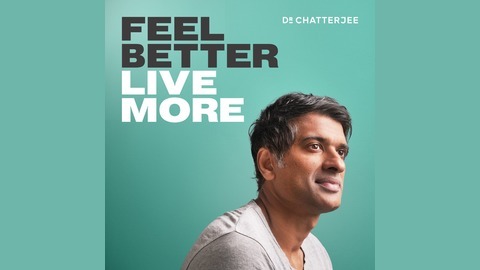 When we are healthier we are happier because when we feel better we live more.Find out more on drchatterjee.com/podcastFollow me on instagram.com/drchatterjee,twitter.com/drchatterjeeuk andfacebook.com/DrChatterjeeFind Dr Chatterjee’s 4 Pillars of Health in The 4 Pillar PlanDr Chatterjee’s NEW book The Stress Solution is now available. Whether it's a dream job, a successful relationship, losing weight or running a marathon, you have the power to accomplish anything you set your mind to. Yet for most of us, life just passes us by. In this week’s episode, neuroscientist and executive coach, Dr Tara Swart, explains how we can all take back control of our lives by training our brains to create the life we want to live. She explains the science behind ‘the law of attraction’ and talks about how what we think and feel are so intimately connected with what goes on in our bodies. We discuss the power of journaling and how creating a vision board – a collage that represents everything you aspire to – can be a surprising way to focus your intentions and construct a life that’s true to your innermost wishes. Dr Swart also talks about the concept of value tagging – placing a new idea at the front of your mind by thinking about it often. Finally, she gives her top tips for getting the most out of life. This conversation could change your life for the better – I hope it does!